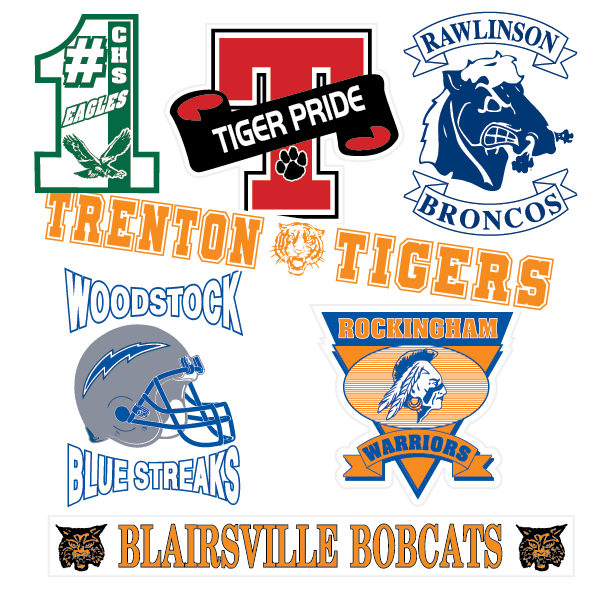 Window decals are a great way to show team spirit, advertise, or simply decorate your vehicle. When placed appropriately, you can use decals almost anywhere, on your vehicle, store/door window fronts, and in your home. Proper placement will provide you maximum visibility without interfering with your safety. Whether you are using decals for advertising or to just show support for the home team, you need to place them where they will get the most attention. Businesses will often place store logos in the front windows of their office or store so that it will be the first thing a customer sees when they approach the premises. They are a great advertising tool and can be used on company vehicles as well. Supporting your child's athletic efforts is important. Many teams sell window decals or stickers that parents can place on their vehicle or a window at their home. If you are placing your decal on the window of your vehicle, make sure it doesn't obstruct your view while you're driving. Before applying the decal, make sure to look around from inside the vehicle to find a place that won't block your view. Many decals have reflective coatings that will allow people to see them in the dark. Some decals even glow in the dark. This makes them stand out and will attract attention whether they are on a store window or the window of your vehicle. These decals are often used by security companies. They can be placed on both vehicles and home windows. They stand as a warning to individuals who might be thinking of robbing your vehicle or resident. Window decals are a great way to send a message. Put them in the right place and you can reach a large group of people in a very short amount of time. Make sure to remember that safety always comes first. Sport your decals so everyone can see them. They make great advertising tools and fundraiser items as well and they come in a variety of sizes to fit almost any space. Let your brand or team spirit shine!